Retailers can reduce costs, improve margins and move towards sustainable business models by integrating their waste recycling practices into their supply chains. Improved technology, tougher regulations, growing consumer awareness and commodity price volatility are just some of the factors that are driving the business case for abandoning linear models and going circular with closed-loop business processes. 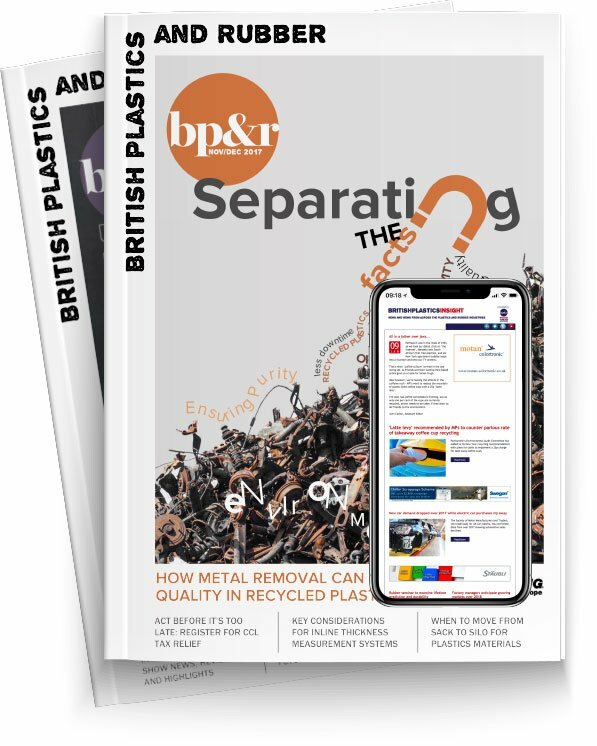 Here Mike Maxwell, Operations Director at UK recycler, Jayplas, explains the value of forming new industry partnerships and re-evaluating supply chains in order to create value through a circular model. Changing patterns of behaviour within businesses and other organisations is no small task and is one that requires a conscious effort. But closing the loop in the supply chain is an important step in progressing towards more sustainable business, and is a way in which retailers can both manage their environmental obligations and add to the value of an important resource – waste. A circular economy is where the value of the ‘waste’ resources is recaptured and re-fed into the manufacturing process. This requires businesses to re-evaluate the way some of their processes work. It's true that over the last 10 or so years there has been a significant improvement in the awareness shown by many retailers toward the environmental impact of their practices and a keen awareness of their own duty of care, but according to Defra calculations, a shift from linear thinking could be worth up to £23 billion per year to UK businesses. Achieving the financial, efficiency and environmental benefits of a more circular economy involves collaboration right across the business cycle with people working together towards the same ends. Chiefly, this requires less reliance on virgin material and extracting the value from vastly underutilised waste resources. In the plastics recycling business there is a heavy reliance on the export market where waste is collected, consolidated and transported abroad. This waste often ends up in China or other countries in Asia where there has historically been high demand. Although what we are seeing now is the effect of China's rapidly developing domestic recycling infrastructure, as they are now looking to reduce their reliance on imported material year on year. While this business model has worked well in recent years, the market is seeing some changes. Retailers are starting to look to solutions that address the weaknesses in this process and are keen to find new ways of working that address some of their top concerns, such as the large carbon footprint incurred from transporting bulk waste for processing in Asia, as well as too great a reliance on export markets, which are becoming increasingly more volatile, with tightening restrictions on what can and cannot be exported. What retailers are really asking us for is greater traceability, stability and value. What we at Jayplas have been doing over the last few years is investing heavily in our UK recycling infrastructure, allowing us to control the whole process, from collection to recycling into pellets, to processing into manufactured goods made from recycled feedstocks. This investment has allowed us to remain cost competitive while reducing the cycle’s carbon footprint. This means we can offer retailers and other organisations a transparent, traceable, closed-loop system in which their own plastic waste is transformed into new products, packaging or bags-for-life for those same businesses. This change in approach to resource management takes collaboration. Collaboration in the form of new industry partnerships between retailers, reprocessors, manufacturers, packaging technologists and designers. But also more collaboration within organisations, with better communication between the various roles involved in waste management, packaging and supply chain management. There is an obvious environmental value in growing the UK’s ability to offer a circular process for recycling plastic waste. Sending plastic to landfill or incinerating plastic for energy capture poses significant environmental costs. Yes, recycling plastic material keeps it out of landfill, but a closed-loop recycling system also keeps the value in businesses.